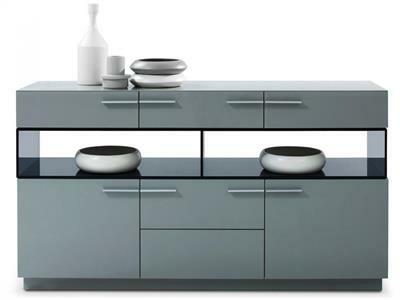 The streamlined design of the Mason Buffet is enhanced with the grey high gloss finish, long stainless steel handles and dark grey glass open shelving. 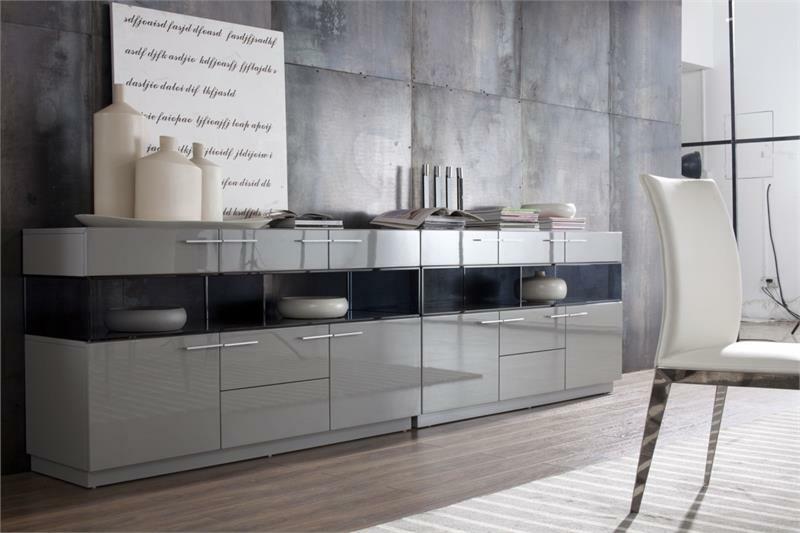 Place decorative dishes within the open shelving under the upper drawers to make the overall design pop. Includes three upper drawers, two lower middle drawers and two larger side drawers which provide ample storage space for your tableware. All seven drawers feature a smooth motion mechanism making them a breeze to open and close. W59" x D16" x H33"
Top 3 Drawers Inside: W17" x D13" x H3"
3 Glass Shelves Inside: W17" x D13" x H3"
2 Outer Bottom Drawers Inside: W17" x D13" x H5"
2 Bottom Middle Drawers Inside: W17" x D13" x H4"